Are you frustrated because you have been trying to design a church website design, but you aren't making any progress? Well in this blog we are going to give you some web design tips that will help you in accomplishing the task of creating a nice website for your church, ministry or christian music group. Let's look at the facts, if your church is not online today and doesn't have a website, then you are pretty much looked at as outdated, but who has hundreds of dollars laying around in their budget to hire a web designer? I would like to share with you some Church Web Design Tips that will help you design a church website for less than $100. There are basically 3 things you need when it comes to designing a website - 1. Domain Name 2. Web Hosting 3. Web Design. Let's take a look at each of these 3 things and the I will let you be on your way to creating your first website. The domain name is what people will type into the search bar to access your Church Website. Here are a few examples of a domain name. These are all examples of a domain name. When you type in facebook.com it will take you to the facebook page, when you type in google.com it will take you to the google web page, when you type in youtube.com that domain name will take you to the youtube website. So it is when you purchase a domain name it will take you the website that you build. For example: You can purchase the domain "TheOnFireChurch.com" when someone types the domain "OnFireChurch.com" into the search bar your website will show up. Now you may be asking where is the best place to get a domain and how much am I looking to pay for one. I usually get my domains from a place called "DomainPricedCheap.com" they are Christian owned and they have very good customer service their prices are very reasonable. As a matter of fact, if you order a year of webhosting (which I will be teaching you about in the next point) with them, they will give you a domain name absolutely free for one year. The average price of a domain name for 1 year is about $9.99 and every year after that. Sometimes the renewal price may go up by a few dollars, but not too much. Click Here to get your Domain Name Today from "Domain Priced Cheap"
The next thing you will need when it comes to Church Web Design is a place to host your website. You will need to get your web hosting from a company that offers web hosting. Yes there is a way you can host your own website on a server that you own, but for beginners it is better to go with a web hosting company. This is a company that will store all the files of your website, such as audio sermons, files, flyers, media, and all the information you will have on your website. If the domain name can be looked at as the address for your house. The web hosting company can be looked as the property that your house is built on. Like I mentioned earlier, This is where all the information of your website is stored. Now depending on how much information you will have on your website, such as audio files, video clips, flyers .jpg files, text and other information will determine on the size of storage space you will need. So these statistics will give you an idea of how much space you should be looking for when purchasing your website hosting company. Depending on if you will host your videos on a third party site such as YouTube, then you don't really need a lot of space for your videos. Now the good thing is that many web hosting companies offer unlimited storage for a decent price. If you would like to order web hosting for your Church Website you can also order web hosting for a really good price from " Domain Priced Cheap. " 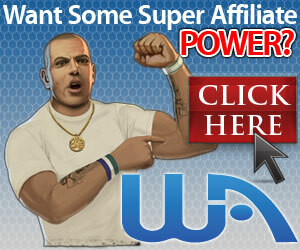 Their package start as low as $2.49 a month, now that is not bad for a place to host your website. You can click here to get this low price. They even have a package for $7.49 a month and you get a FREE domain name for a year. You can click here to get this package. Once you purchase your domain name and your web hosting, you are pretty much on your way to design a church website. The next and final part that you will need is to design your website. Now when I first started designing websites it was a little challenging and took a lot of work, but now a days with all the technology it makes creating your own website so much easier. There are many Online Website Builders that make Church Web Design simple and faster. One of the Web Builders that I like to use when I am designing a website is called Thrive Architect, as a matter of fact I used it to design this website and a few others. Here are a few websites that I have created using this Website Builder if you would like to take a look. Thrive Architect allows you to design a church website even if you have no web design experience. Believe me, if I can design this website using Thrive Architect then I know you can design a website, because I don't know coding and I am not a web designer. Back in the day you used to have to pay a web designer a lot of money to design a website. You had to know a little bit about coding or buy a program that would translate the coding for you, but now it is a whole different story. When a management system called WordPress came along it changed the whole game. Now creating a website can be as simple as drag and drop. If you would like to get started designing your very first website with Thrive Architect I have put a step by step video below. This video walks you through the process of how to design a WordPress website from scratch using Thrive Architect. You can purchase your own copy of Thrive Architect for only $67 by clicking here. You also want to optimize your website for search engines which is called SEO. I have a whole class dedicated to this and I would love to give it to you FREE of charge just for reading this blog. To enroll in my SEO Class for FREE use coupon code " FREEACCESS " and click here. Not only do I have a SEO course that I would like to give you FREE access to, but I also have a step by step course on how to design a church website from scratch that I would like to give you FREE access to as well. All I asked is that you tell a friend and leave me a shout out by leaving a review. Well I hope this blog has helped you out in learning Church Web Design and what you need to do in order to design a church website. Also here is the step by step video I promised of me making a website from scratch using Thrive Architect. 1. Domain Name - You can get a domain name for as low as $9.99 a year. Some hosting companies even give you a FREE domain name when you order web hosting for a year. 2. Web Hosting - A web hosting company is the place that will store all your files that you have on your website, such as audio files, video files, sermons, flyer and your website information. 3. Design your Church Website - You will need to design your website. The the good news is technology and online web builders allow for any who can send an email to pretty much be able to design a nice high quality website from scratch. If you have any questions please don' hesitate to contact me, I would love to assist where I can.